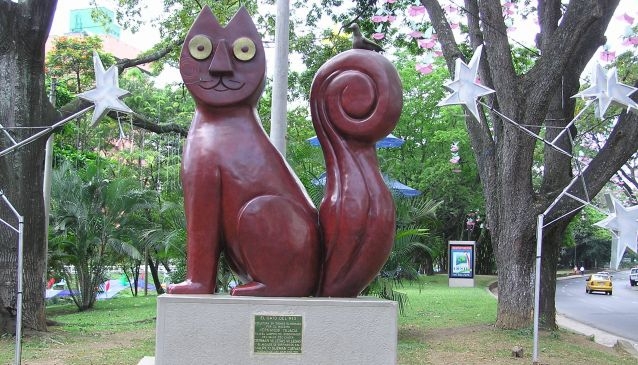 It´s a work of the painter and sculptor Hernando Tejada, who donated it to the city and was installed in the Cali river´s bank within the rescue plans and beautification of its banks. It was cast in bronze at large scale, with 3.5 meters height, 3.4 meters width and a thickness of 1.95 meters. It weighs 3 tons and is currently one of the most important monuments of the city.